Here’s why it should work, and why it worked against Misfits. As if the LCS mid lane Wukong wasn’t enough earlier this split, Fnatic’s Rasmus “Caps” Winther had to remind us one more time that he’s the king of weird mid lane champions. In his team’s series against Misfits today in the EU LCS Summer Split semifinals, he locked in mid lane Vayne. In classic Caps fashion, he was the reason why his team walked away with the win. Before you go locking it into solo queue, though, there are some things to keep in mind. Just because Vayne can work really well in certain situations, that doesn’t mean you should pick her. As we’re sure you’ve probably already guessed, the success of mid lane Vayne is largely dependent on the matchup. In Caps’ case, he was in one of the best setups you can hope for against Galio. Galio’s channeled taunt can be interrupted and knocked away by Vayne’s Condemn, and her Tumble allows her to dodge it and his other abilities on a fairly-low cooldown. Galio’s damage is pretty low, so she also has freedom to rack up a ton of farm and coast until the end game. 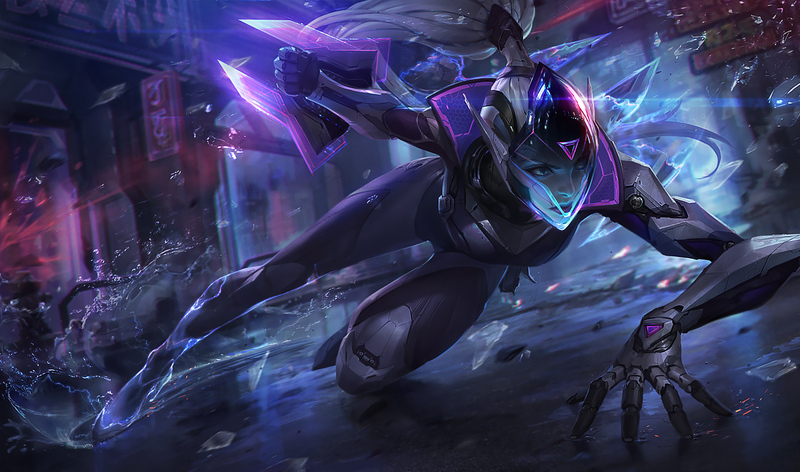 There are other, similar mid lane matchups in which Vayne can thrive, like against certain assassins that she can knock away easily. Hyper-mobile champions that can bounce around the Condemn, like Irelia, Zed, and Fizz, are very hard counters. Long-range mages like Syndra and Lux are difficult to deal with, too, because Vayne’s range is pretty short. In other words, there are very few matchups that work for her. Her high mobility and reliably early damage with Blade of the Ruined King allow Vayne to keep up with some other mid laners, though, and she can be used to round your comp out with a marksman if your team takes a mage bot lane.